Centor Integrated Doors offer a new range of patio doors with built-in vanishing screens and shades to control privacy, sunlight, insects and natural air. Choose from folding, sliding, double-swing or single doors, or mix and match to achieve exactly the effect you want. 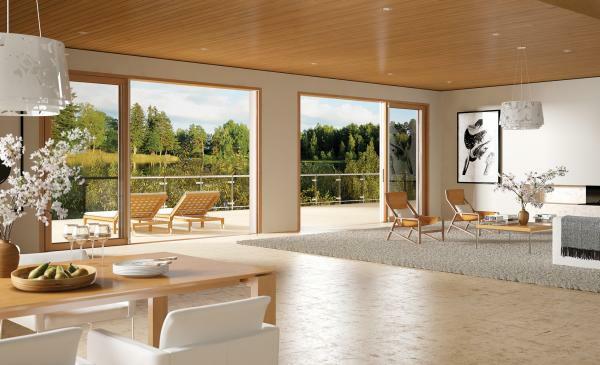 Centor Integrated Doors feature a unique, seamless screen that disappears into the doorframe. A light touch is all it takes to slide it open and enjoy the breeze while keeping out insect intruders. There's no pleating, no grills, just fresh air and flawless views. Move from open vistas to total privacy or filtered light, with their breakthrough light-filtering, vanishing shade. Built into Centor Integrated Doors, the shade remains hidden from view until you need it. Slide open the blackout shade to enjoy full privacy or cherish longer sleep. Choices include a light-filtering shade to protect furnishings from harsh sunlight while letting light in. Beautiful as they are, Centor Integrated Doors are designed to go unnoticed. Centor's innovative adjustable and concealed hinges, locks and hardware are designed to be out of sight to enjoy more of the beautiful outdoors. Plus, by using the highest quality hardware systems, Centor brings reliable, fingertip operation to their Integrated Doors. Choose from a variety of screen and shade materials to customize vanishing screens and shades to your décor and needs. Centor Integrated Doors feature aluminum-wood clad design with textured wood on the inside and durable aluminum outside that you can paint any color.